Having super fine, thin, or thinning hair doesn’t mean you have to throw in the towel when it comes to style! While the challenges of fine, thin hair are different from other hair types, choosing the right products and daily care as well as getting the perfect haircut can make a world of difference in how your hair behaves. When it comes to cleansing, opt for a shampoo & conditioner that will gently clean your hair without weighing it down. While fine, thin hair does need moisture, many deep moisturizing shampoos and conditioners have very heavy formulas that tend to make your hair feel flat and lifeless after being applied. This is the exact opposite effect that you want. 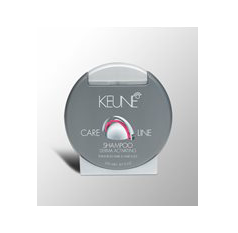 For fine, thinning hair, our experts at The Retreat in New Orleans recommend Keune Care Line Derma Activating Shampoo. This is a mild cleansing shampoo makes your hair stronger and offers preventive care against hair loss. The formula contains Vitamin H, which improves the keratin structure of your hair, resulting in stronger hair and a decrease in the number of strands falling out. It also contains Provitamin B5 which regulates the moisture balance of your hair, along with proteins for body and volume. 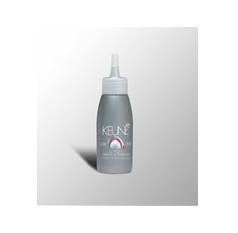 The Keune Care Line also has a Derma Activating lotion that stimulates hair growth and increases the number of hairs in the growth phase. It revitalizes the scalp, helps to prevent hair loss, and makes hair stronger. It contains Vitamin H as well as caffeine which stimulates the blood circulation, to nourish the scalp, resulting in a longer growth phase of the hair. You simply apply it to your scalp after shampooing and towel drying, and massage it in, without rinsing. For preventive use, it can be used 1-2 times a week. For intensive use, it can be used 3-4 times a week for up to 11 weeks. The right cut and color can be completely transforming. Generally, fine and thinning hair looks best with styles that are either shoulder length or shorter. Fine hair simply lacks the volume to get away with long styles, and it will appear limp, ragged, and void of volume when allowed to grow past the shoulders. A few hair styles that work particularly well for fine or thin hair are: Angled chin-length bobs, pixie cuts, and layered styles with gentle face-framing layers. Visit The Retreat Hair Salon in New Orleans for beautiful, healthy hair, expert styling advice, and superior quality hair care products that you won't find anywhere else in New Orleans!